FAU | Ali Danesh, Ph.D.
Primary research focus: Research and interest in the areas of tinnitus, hyperacusis, auditory evoked potentials, auditory processing disorders, auditory responses in both normal and pathological populations, vestibular assessment, and diagnostic/rehabilitative audiology. 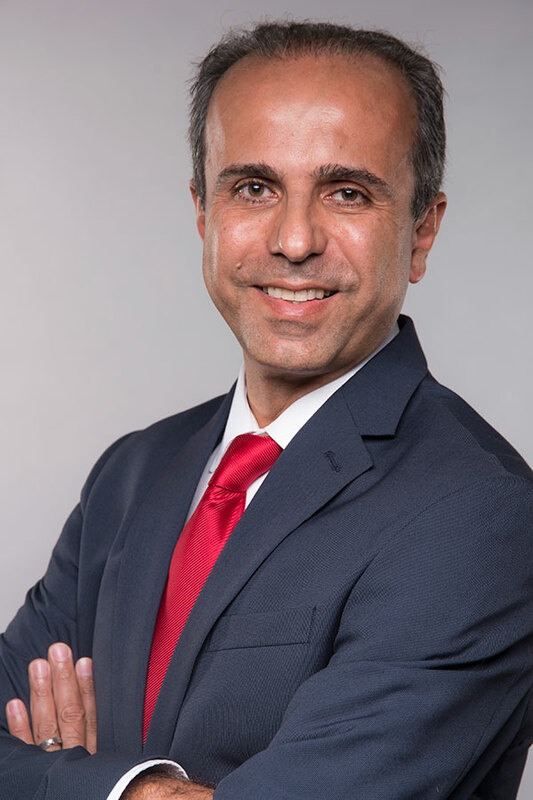 Ali A. Danesh, Ph.D., CCC-A, FAAA, is currently a Professor at the Department of Communication Sciences and Disorders, and also has a Secondary appointment as Professor of Biomedical Sciences in the Charles E. Schmidt College of Medicine, Florida Atlantic University (FAU), Boca Raton, Florida, where he teaches courses in neuroanatomy and neurophysiology of auditory and vestibular systems, audiology, genetics of communicative disorders, and aural rehabilitation. He also supervises graduate students at the FAU Communication Disorders Clinic. Dr. Danesh obtained his B.Sc. in audiology from Iran University of Medical Sciences, Tehran, Iran, his M.S. in audiology from Idaho State University, Pocatello, Idaho, and his Ph.D. in audiology, with an emphasis on auditory electrophysiology, from the University of Memphis, Memphis, Tennessee. Dr. Danesh is an American Board of Audiology board certified practicing audiologist. His current clinical work concentrates on patients with tinnitus, vertigo and sound sensitivity (e.g., hyperacusis and misophonia). Dr. Danesh has presented in many scientific conventions and has published in numerous professional and scientific journals. Professor Danesh is a member of FAU's Brain Institute (http://ibrain.fau.edu/institute-members.php) and a member of I-HeAL (Institute for Healthy Aging and Lifespan Studies) http://www.fau.edu/research/iheal/about-iheal.php. Porcaro, C.K., Alavi, E., Gollery, T., & Danesh, A.A. (In Press). Misophonia: Awareness and Responsiveness in Academia. Journal of Postsecondary Education and Disability. Nagashino, K., Kinouchi, Y., Danesh, A. A. & Pandya, S. (2015). A computational framework with simplified tonotopicity and homeostatic plasticity for tinnitus generation and its management by sound therapy. WSEAS Transaction on Biology and Biomedicine, Vol. 12, 2015, Art. #4, pp.20-30. Nagashino, K., Kinouchi, Y., Danesh, A. A. & Pandya, S. (2014). A computational model for tinnitus generation and its management by sound therapy, International Journal of Biology and Biomedical Engineering, Vol. 8, pp. 191-196. Danesh, A. (2010) Can Hearing Loss Influence Visual Processing? ENT & Audiology News. Best papers of the year section. Vol 19, No 5, page 82.